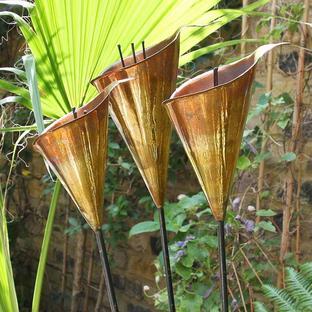 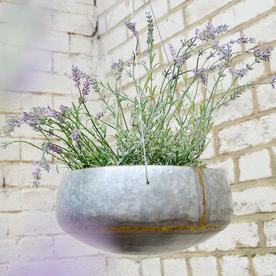 A hanging planter with a little more style and panache than your average hanging basket! 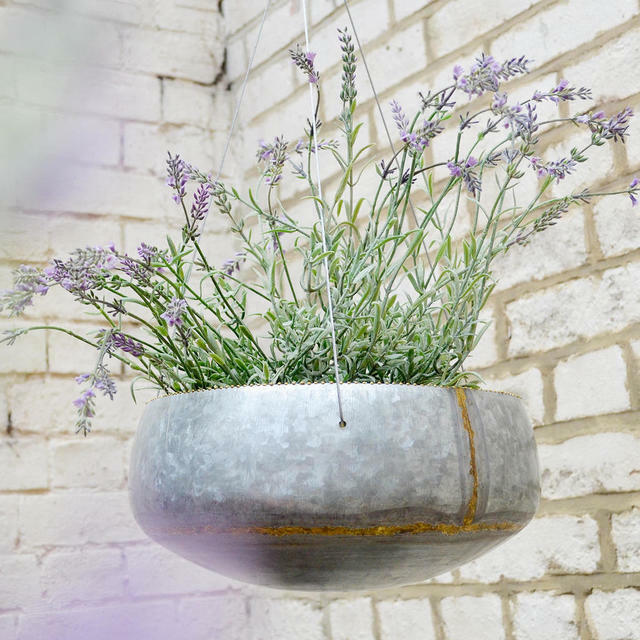 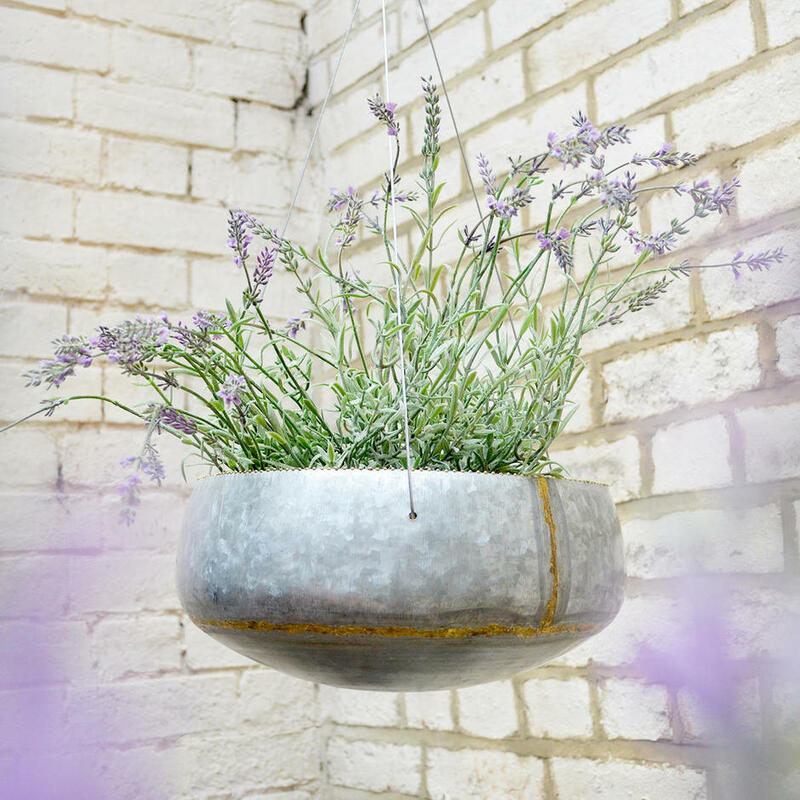 Made from steel with a zinc galvanised finish, this round hanging planter looks as perfect indoors as it would hanging outdoors under a pergola. 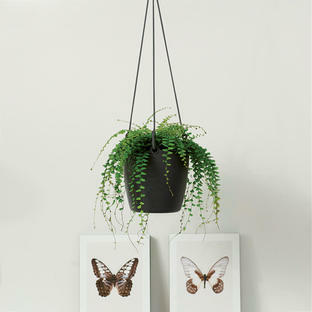 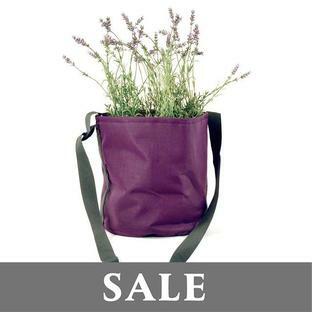 There are no drainage holes, so easy to simply pop some plants in without having to worry about potting up. 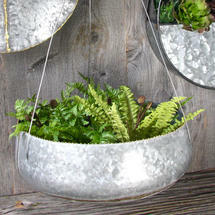 Metal steel with steel hanging cables. There are no drainage holes in this planter.